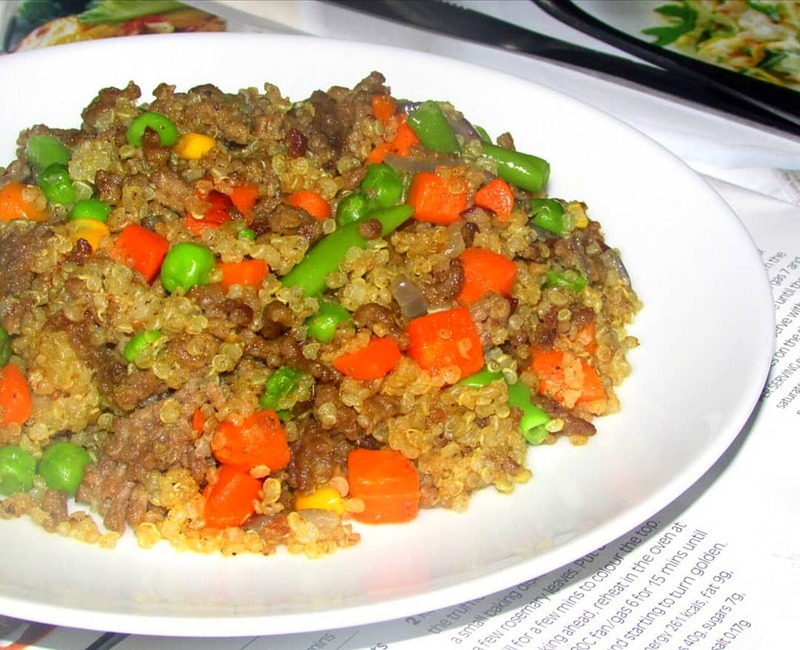 Quinoa has all 9 essential amino acids, making it a complete Protein. F A C T! Now why isn't quinoa gracing your plate yet? These itty bitty seeds contain more iron per 100g than brown rice, also containing Zinc, Potassium and Magnesium, some important micronutrients. 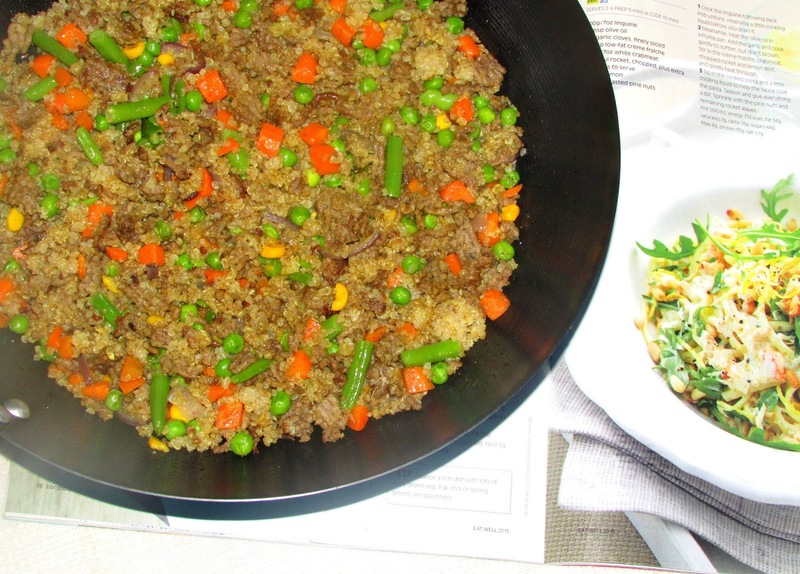 But of course, apart from its impressive nutritional value, quinoa is delicious and can be cooked in a variety of ways. 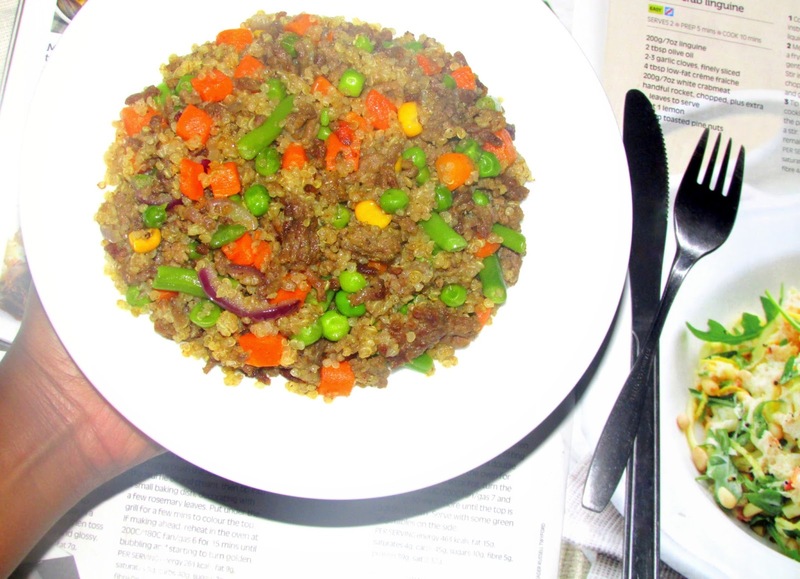 It seems I too have become a self proclaimed quinoa addict, can you blame me? Here's how to make this gorgeous dish, no fuss. Heat up 1 tbs of olive oil in a Wok pan on medium heat. Fry ground beef until no red remains. When cooked, it will be a brown colour. Add chopped onions, garlic, carrots, peas, sweet corn, 2 tbs water and black pepper. Lower the hear & fry for a few more minutes. Add in your ready cooked quinoa and mix. Simmer for two mins.